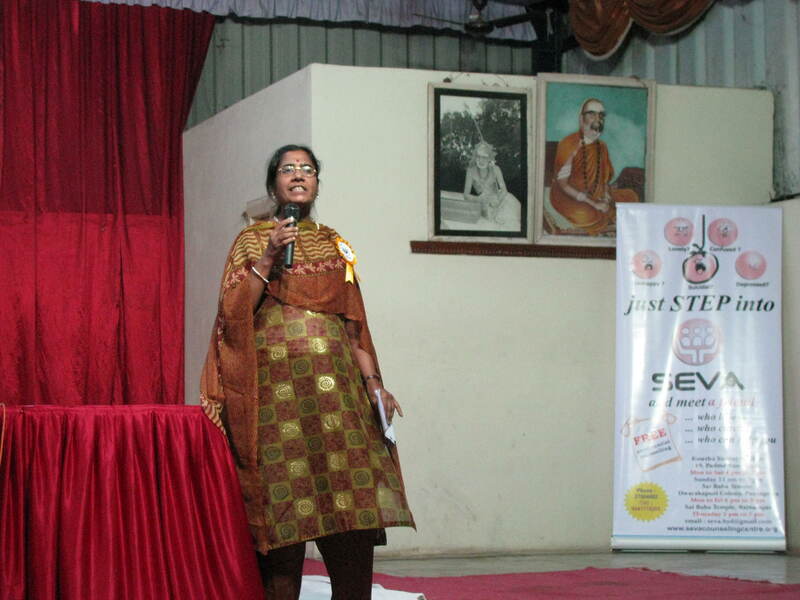 SEVA Free and Confidential Counseling Centre celebrated its Eighteenth anniversary at Kamakoti Kalyana Mandapam at Padmaraonagar on Sunday, the 6th of November in the evening hours, which was compered by Ms. Saroja and the invocation was by Ms. Hema Murali. The Chief Guest for the function Dr. A V Gurava Reddy is the Managing Director and Chief Surgeon – Sunshine Hospitals, Hyderabad. 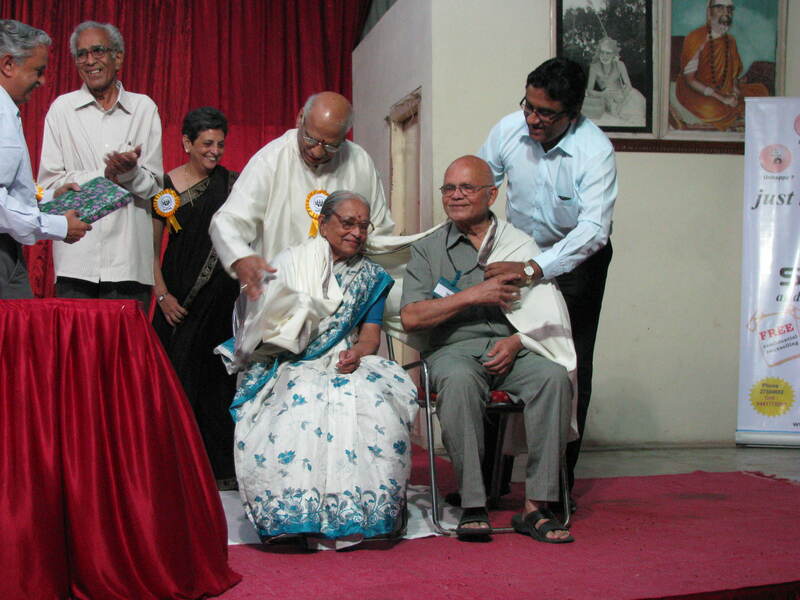 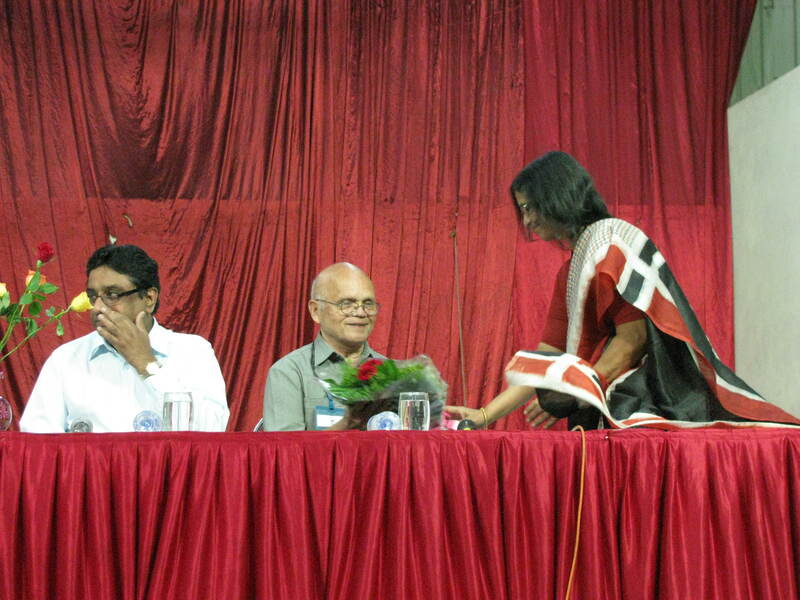 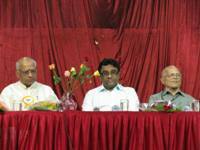 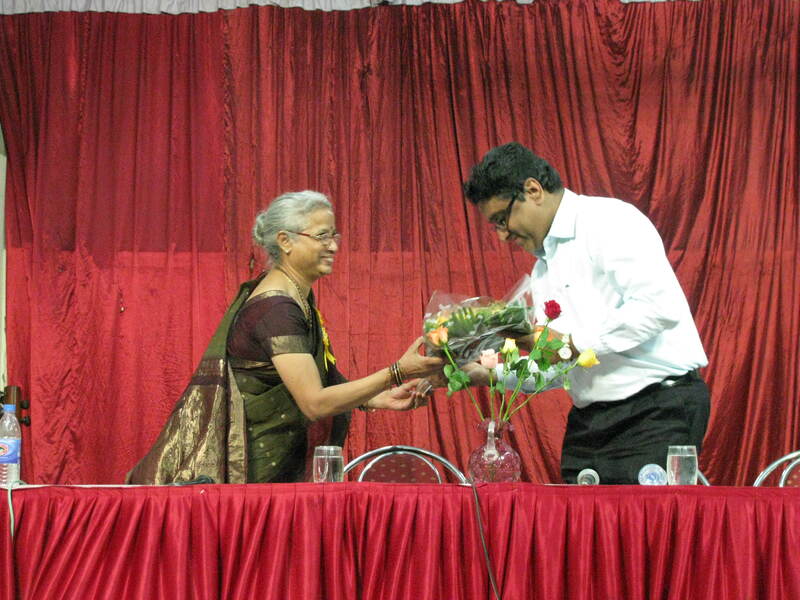 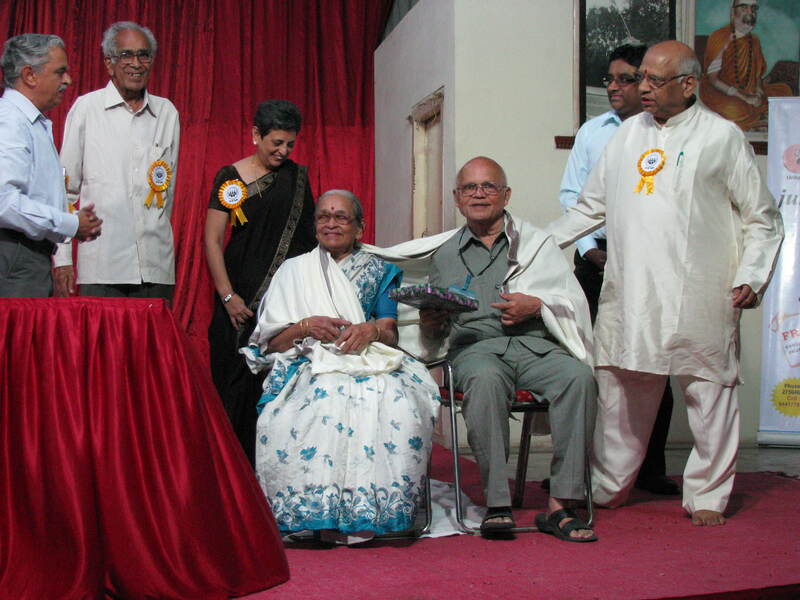 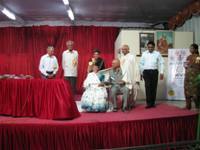 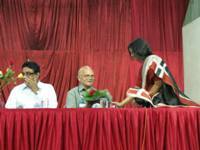 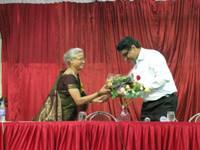 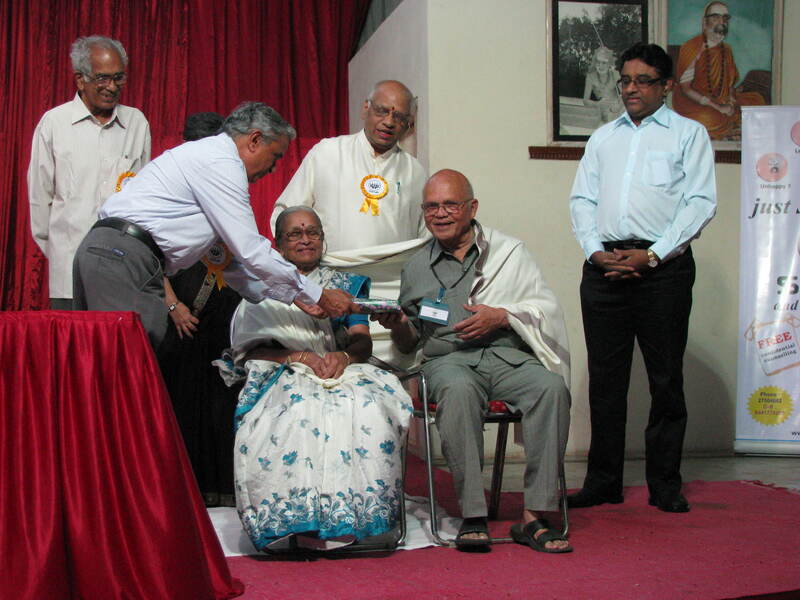 The special event of the occasion was the honoring of SEVA's founder Prof. Rajendra Kolhatkar (Retd. Professor, JNTU School of Architecture) and acknowledging the continued service by the long serviced volunteers. 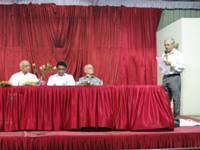 A very good turn out of invitees showed the patronage the organization has been receiving. 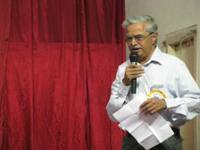 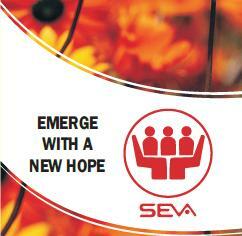 In the welcome address, Mr. Thiagarajan, Director of Seva, recounted the significant milestones during the year. 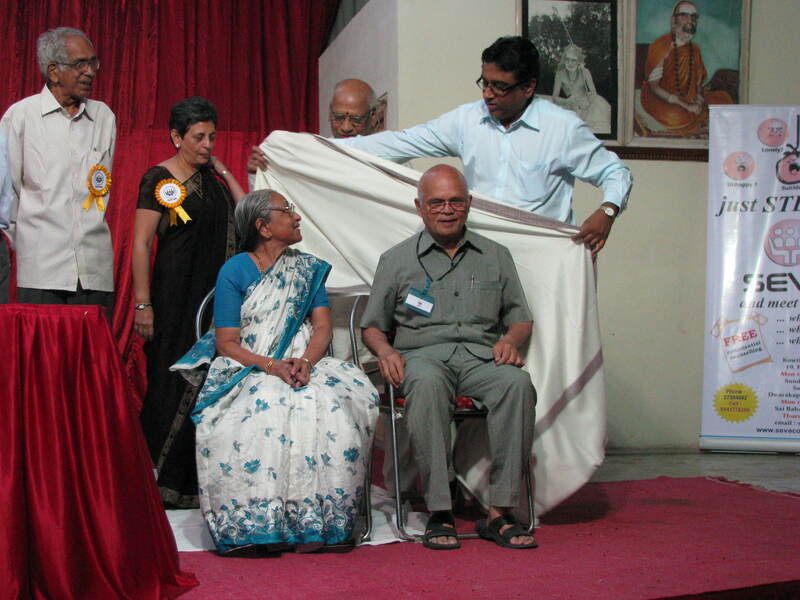 The founder Prof. Rajendra Kolhatkar recounted the sequence of things that happened during the days of founding the organization, Shri K. L. Manohar's philanthropy of offering the place to operate from which is continuing to be the main office of SEVA, his association with Dr. Ali Khwaja, the initial difficulties and odds and the commitment from colleagues like Smt. 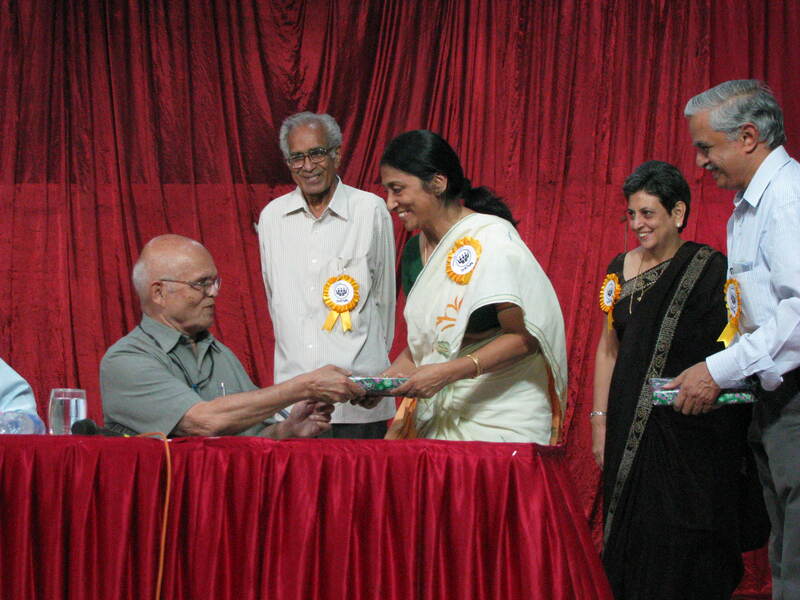 Sharada Gopalakrishnan, Smt Havovi and Shri Khanna. 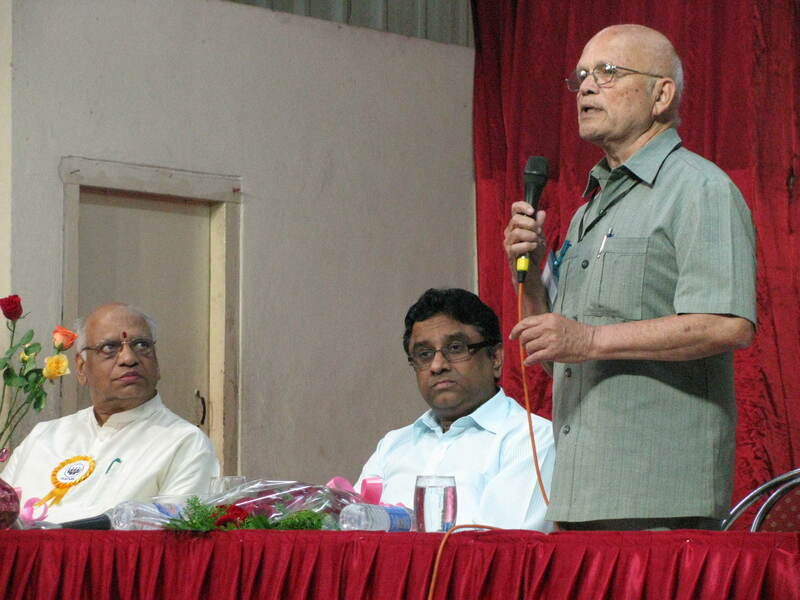 The Chief Guest Dr. A V Gurava Reddy shared his views on medical field, the role and shortage of Psychiatrists in the country, and the need for counselling centres like Seva. 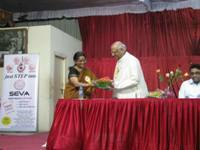 He emphasized the need for 3 Ts (Time, Trust and Touch). 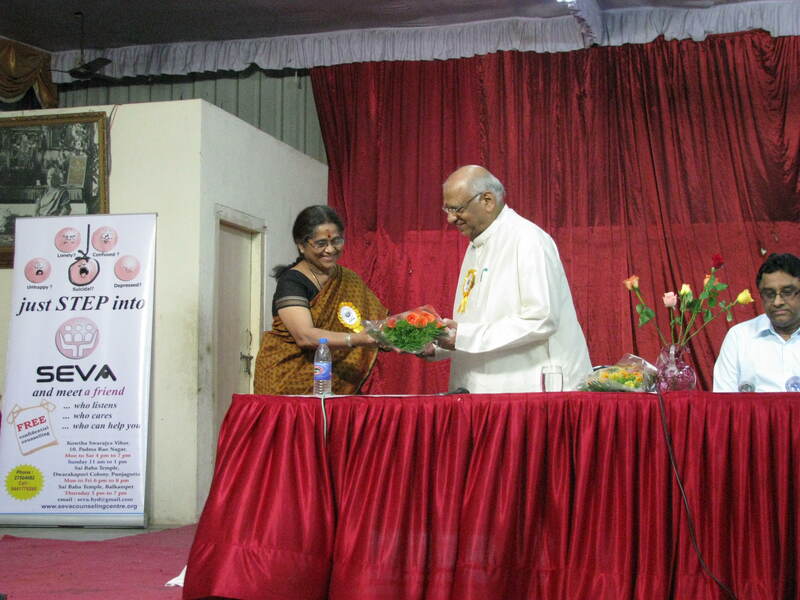 In addition he explained how humour can bring about a change for good, power of positive thinking and contented/happy living. 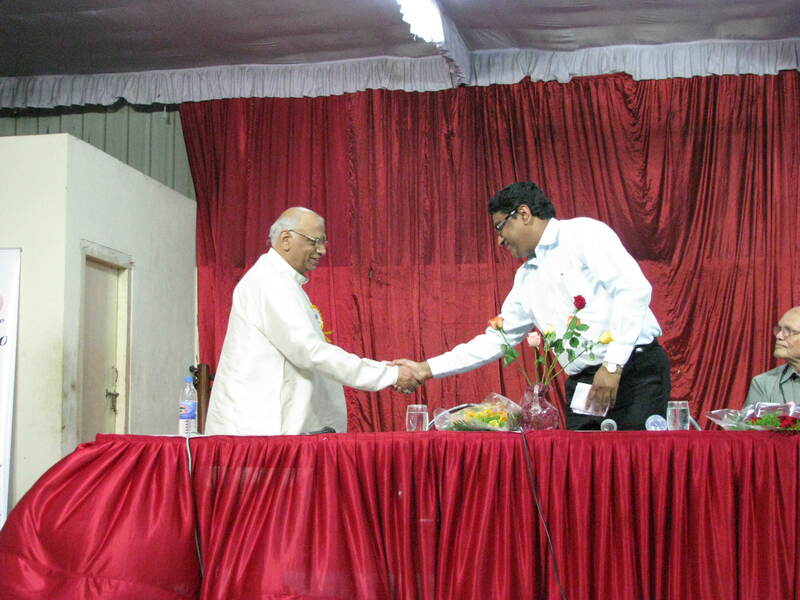 Our beloved Chairman, Shri K. L. Manohar congratulating SEVA on its anniversary conveyed his commitment to help Seva reach out to various cities. 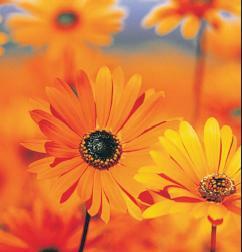 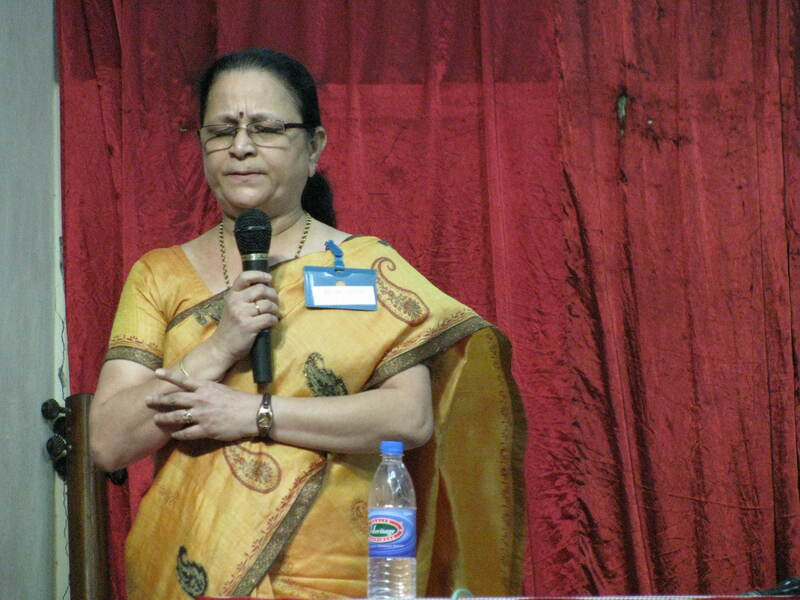 Music Recital by Smt. 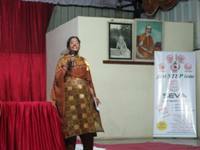 Sudheshna Gupta and her team made the evening entertaining and soulful. 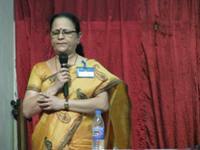 The celebrations ended with a vote of thanks by Smt. Radhika followed by dinner.